This wholesale Ella's Kitchen Smoothie is suitable for ages 6 months onwards and is made with 100% blackcurrants, blueberries, apples and bananas. The smoothie comes in a 90g pouch and is dairy free, gluten free, nut free, egg free and soya free with all-natural ingredients. 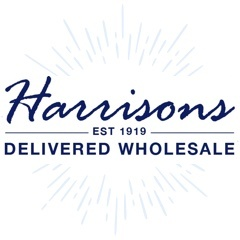 At Harrisons Direct wehave an extensive range of wholesale baby food and snacks - perfect for the constantly growing nutritional market. Our fantastic range of organic purees, crisps, crackers and biscuits (to name but a few!) will ensure you can stock a wide range of baby food products your customers will love! For more information on our range of wholesale Baby Care products, call us on 01254 306840.